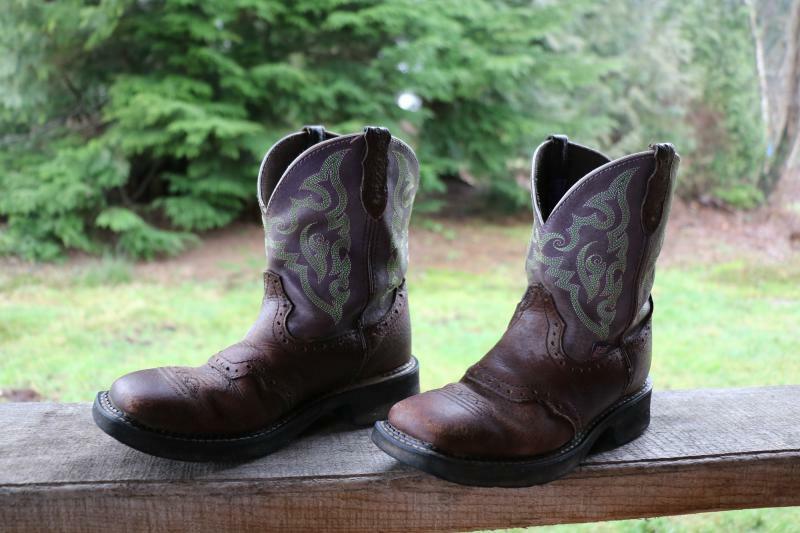 Even though I’ve owned horses most of my life, owning cowboy boots was never on my radar. I preferred Roper’s running shoes for riding because of the heel and it was comfortable for walking in. The only time I owned cowboy boots was when a former employer gave me her old boots. 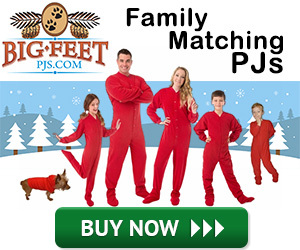 They were about half a size too small and I rarely wore them. Sore feet afterwards! After going through a divorce I decided to change my style, and for some reason that meant adapting more to cowgirl fashion. I know. Several decades too late. 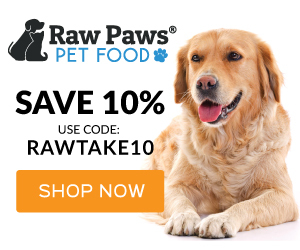 I found a wonderful online shoe seller (unfortunately it closed shop and declared bankruptcy in January 2017) with free shipping, that was having a 30% off sale on purchases over $100 just after Christmas a couple of years ago. I spotted a pair of purple Justin Gypsy boots and with the good deal on the price, snapped them up. Depending on where you buy them and the style, Justin Gypsy boots run in the $100 range, give or take a few bucks. 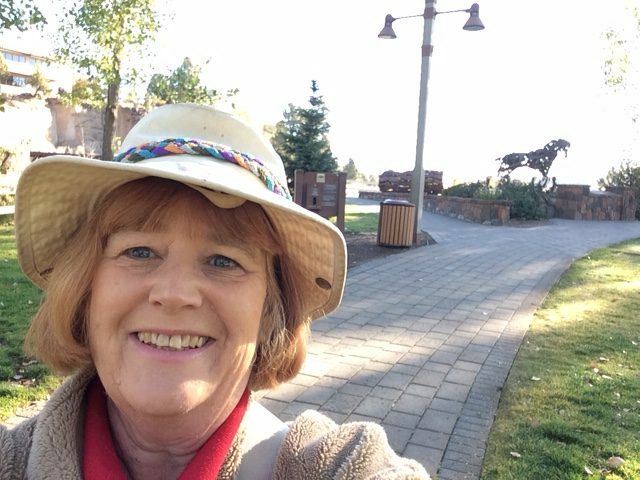 They’re cute, fashionable, and comfortable, even good enough to wear while walking the dogs, and I often get compliments when I’m out and about wearing them. In the beginning I was very careful where I wore them so they wouldn’t get dirty. Eventually I figured out the Gypsys were excellent foot gear when I’m riding my Suzuki Burgman. When my last pair of Roper runners wore out, I started wearing the Gypsys to the farm and now I wear them every time I’m in the saddle. The problem with wearing boots at the farm is they quickly become dirty and mud will cake on them. That’s life in the barnyard. That brought me to a dilemma. How do I clean my Justin Gypsy boots? 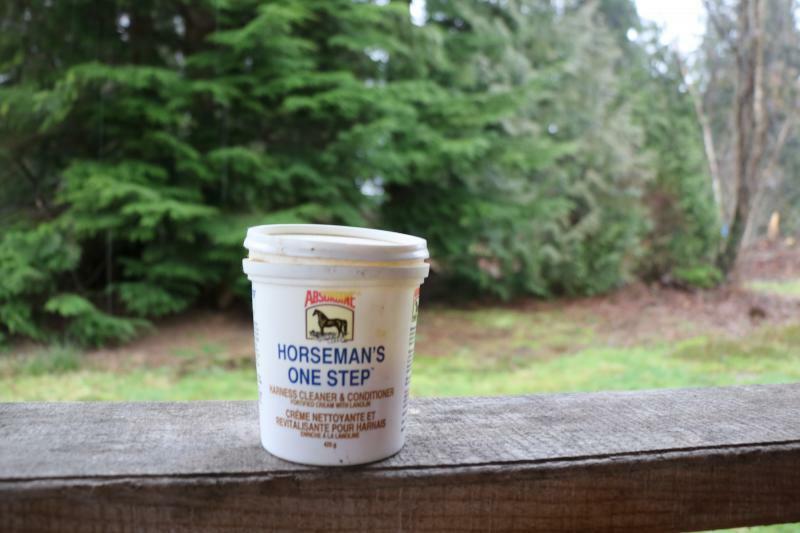 I found a few sites including Youtube videos put on by Justin Boots but none seemed to show how to clean my brand of boots. Most of the instructions went to the effect of polishing the cowboy boot until it shines. My Justin Gypsy boots are aged bark with a purple suede design. They don’t shine. Here’s how I clean my Justin Gypsy boots. Remove the mud that has caked on around the soles. Find soft brushes. If the mud is really bad you might need a spoon to scrape the mud, but normally shoe brushes will work fine. Clean the sides and the bottoms to remove all dirt. 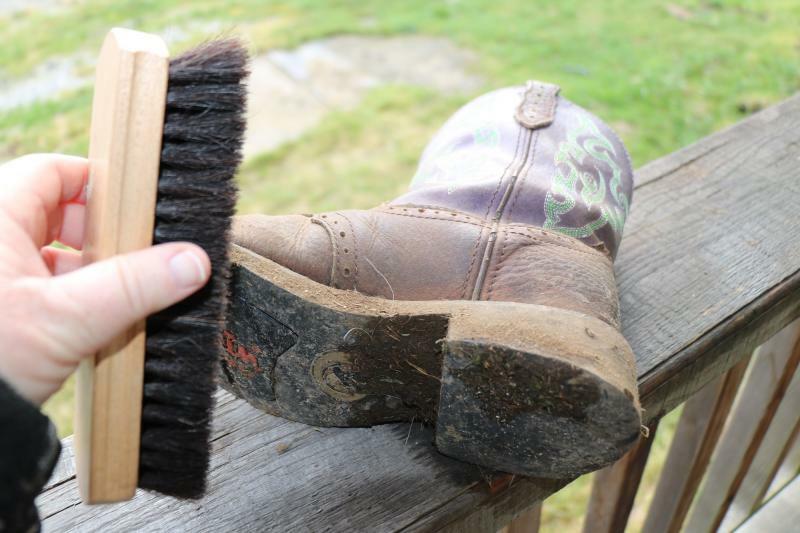 When the bulk of the mud and dirt has been removed, take a damp cloth and wipe down the boot. 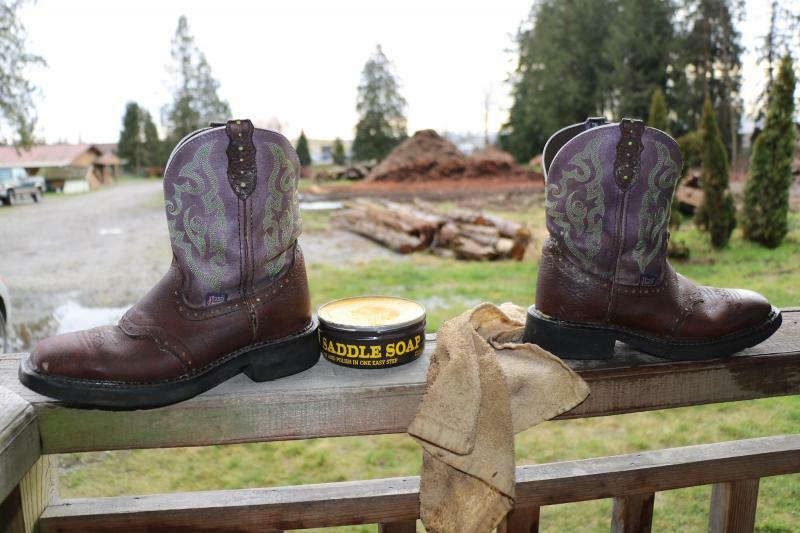 Next, I use saddle soap, applied with a cloth, to clean the boot. 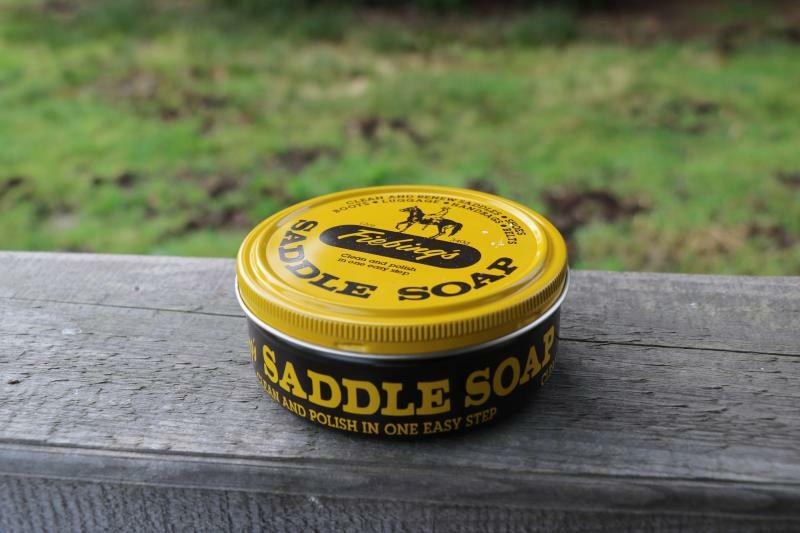 Any type of saddle or leather soap will do the trick, but I use Fiebing’s Saddle Soap that says it will “clean and renew saddles, shoes, boots, luggage, handbags, and belts”. Apply with a wet cloth or sponge – but not to suede, which means it can’t be used on the upper portion of the boot. I leave the boots to dry a bit, not out in the direct sun. Inside the house or in the shade is where boots should dry out. 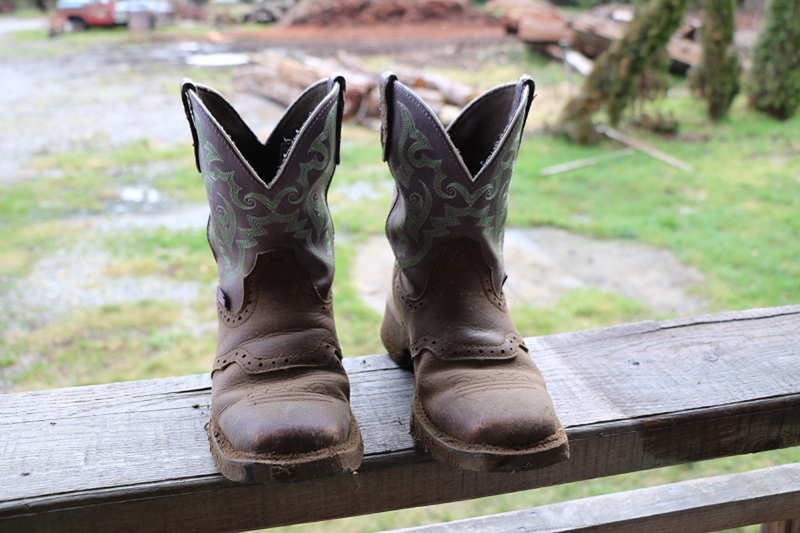 When it’s all done, you’ll have a nice, clean pair of boots that almost look new. As for the upper purple areas, they don’t tend to get dirty. 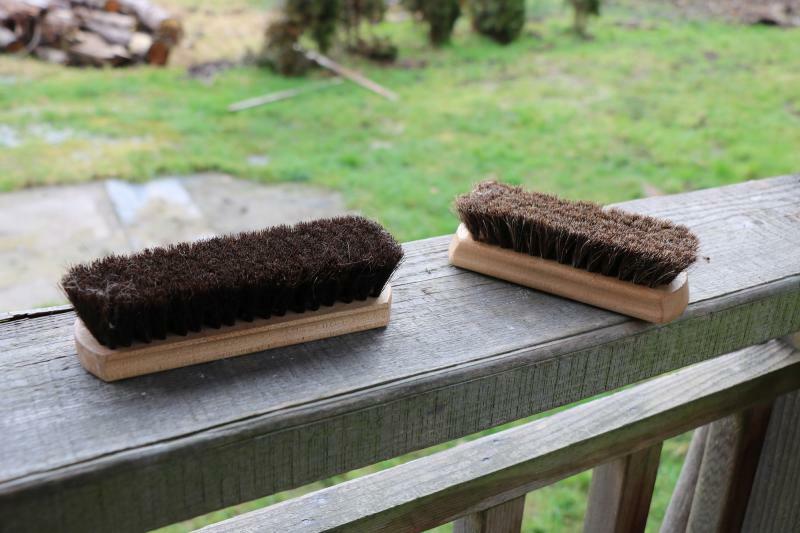 A quick brush or rubbing with a damp cloth is sufficient. Take care of the lower sections and the Justin Gypsy boots should last a long time. If you have any more tips on how to clean Justin Gypsy boots, leave a comment below.